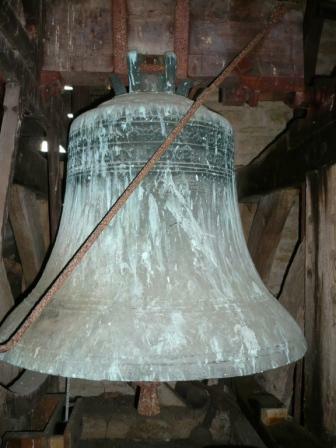 The three smallest bells were cast at the Bristol foundry; the two largest at the Bicester foundry. The treble and second were added to the ring in 1887. 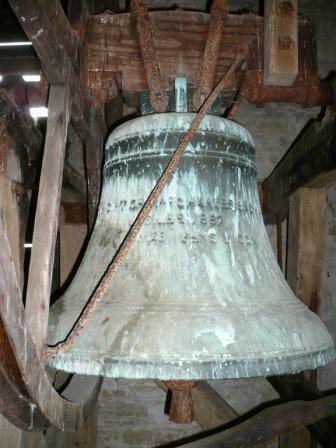 The bells hang in a sixteenth-century type frame, originally made with pits for four bells. 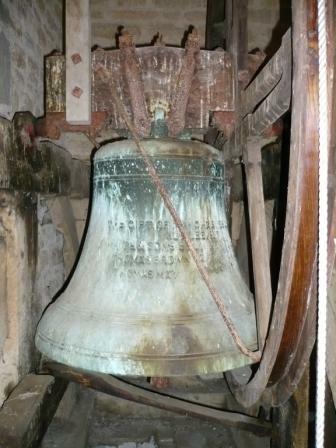 Although there were only three bells in the tower before 1887 the frame had contained four at some time. The gear, type C, is by Messrs. F. White and Sons, who added one additional pit to the frame. 6 Edw. VI states: Item 3 smale belles in the steple. 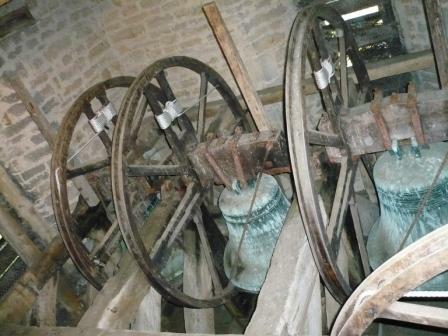 Item a scantis [sic] bell and 2 hand belles. *Note by the Rev. T. A. Turner, circa 1880. Walters' MS., Society of Antiquaries Library. 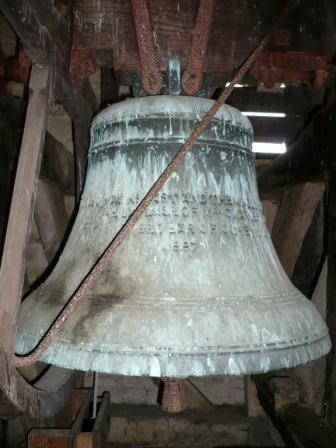 Sharpe, F. (1954) The Church Bells of Oxfordshire, Oxfordshire Record Society. 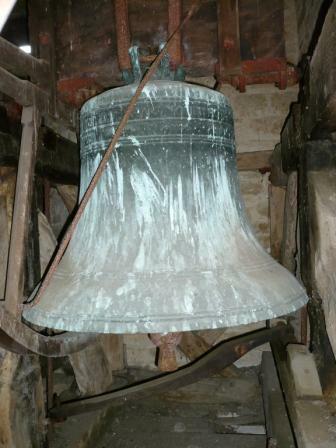 To hear the bells of St Nicholas, Piddington, being rung, go to the 'Piddington on Film' page, where there are two videos, taken in 2016 and 2018. 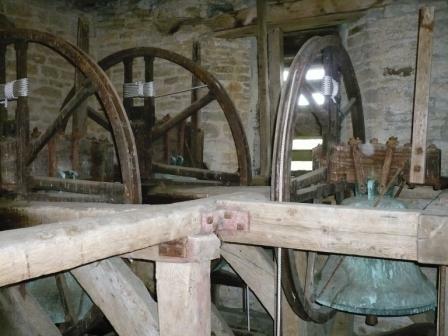 The Piddington church bells are rung regularly by an enthusiastic group of bellringers. We welcome new members. Anyone interested in taking part can telephone Tony on 01844 237688 for further information. Below are photos of the Piddington bellringing team taken in June 2016 (left) and June 2017 (right). 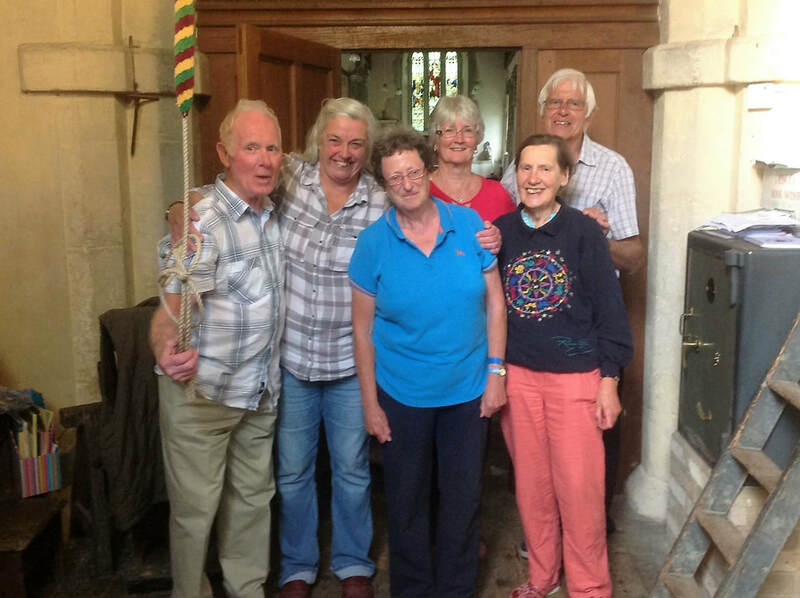 The Piddington bellringing team, June 2016 (left to right): Chris Taylor, Wendy Taylor, Morwen Ashton, Tony Pearce (captain), Cheryl Coggins, Pam Newell and Rachel Pennington. 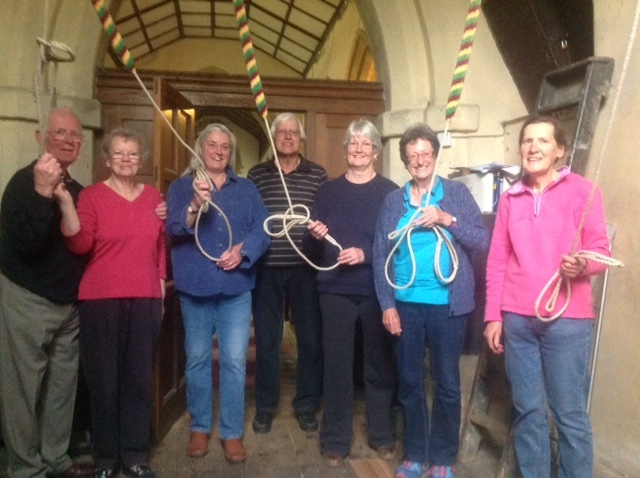 The Piddington bellringing team, June 2017 (left to right): Chris Taylor, Morwen Ashton, Pam Newell, Cheryl Coggins, Rachel Pennington and Tony Pearce (captain).